QOTD: What's all this about "Metering"? Here's a good question for you guys. 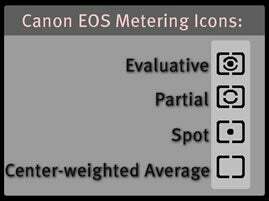 What are the differences between the metering modes and which one should I use for which type of shots? I'll compile the responses tomorrow and post answers tomorrow morning!